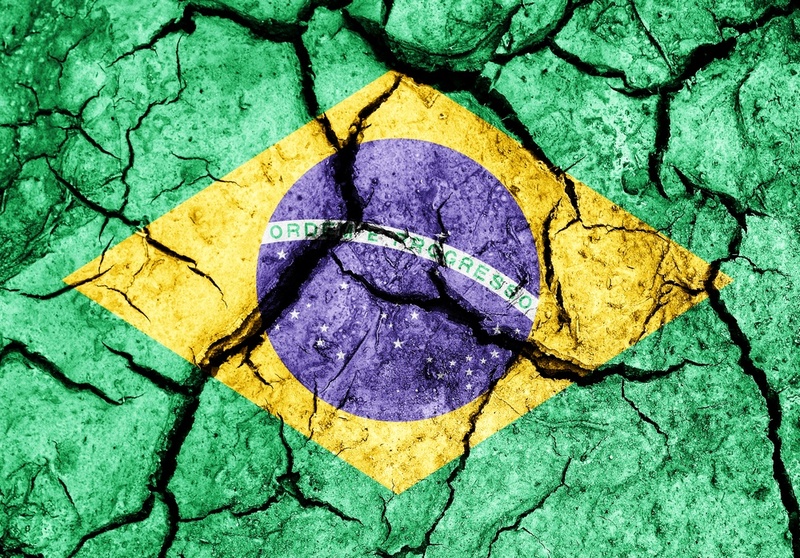 Recently, Resilinc has been closely monitoring reports concerning Brazil’s severe drought. As we enter an El Niño in 2015, Brazil can expect drier weather for the next few months further exasperating the situation. While droughts may be a primary concern to farmers, there are also downstream impacts to the global supply chain in terms of water supplies, power supplies, and raw materials that could impact product customers. As supplies of waters dwindle, some cities are faced with severe water rationing. In São Paulo, the rationing is as severe as 5 days with no water (Ortiz, 2015). While we cannot accurately predict the exact impact, we can look at a similar situation that occurred in Malaysia last year (Bloomberg Business, 2014), where glove manufacturers were faced with cutting production or having water trucked in. The result was back orders on some cleanroom apparel items as well as price increases. Risk Mitigation Strategy: Brazil is an exporter of therapeutics as well as automotive and electronic components. Planners should identify products manufactured in Brazil and potentially increase inventory levels and lead times temporarily. Electricity can be generated in several ways such as natural gas, coal, and solar. In Brazil, the key source for power is hydroelectric, with over 70% of its electricity generated by hydroelectric dams (Johnson & Jelmayer, 2015). As the drought continues to strain water supplies, the power grid will also be strained resulting in potential blackouts and/or rationing. While many manufacturers have backup power, some downstream service providers may not. All production sites who have subsidiaries, suppliers, and sub-tier suppliers in Brazil should review their suppliers’ Business Continuity Plans for information for information on their backup power capabilities. Keep in mind that while a business may have back-up power, other parts of the supply chain may not have back up power, such as third-party logistic hubs. Brazil is a major global exporter of agricultural products, such as corn, soy, and sugar- the primary building blocks in media and excipients. With the drought, harvests of these materials is expected to be lower than normal in the 2015 growing season. The good news is that an El Niño creates wetter and more favorable growing conditions in the US Midwest for stronger harvests of corn and soy. But sugar on the other hand, is a tropical crop. The top producer of sugar globally is Brazil with India in second. Both countries are usually impacted negatively by an El Niño with lower sugarcane harvests. Right now, sugar prices are kept in check dues to excess sugar inventories (Hecht, 2015). However, the sugar harvests in Brazil are expected to be 9-10% lower than prior year (Lewis, 2014) and creates a price risk for BioPharm customers. Risk Mitigation Strategy: Commodities such as sugar, as well as corn and soy, are the building blocks for many materials media, amino acids, citric acid, ethanol, and excipients. BioPharm planners in particular need to be aware of the Brazilian drought situation and monitor back order reports for signs of tightness in sugar supplies as well as other components that can be impacted by an El Niño. In summary, the drought situation in Brazil is extremely serious, and with the rainy season ending and an El Niño beginning, relief is not in the immediate future. While our hearts and thoughts are with those impacted by the drought, we can also help partners mitigate their raw material, water, and power constraints by being flexible and planning for bumps in their supply chain. Hecht, A. (2015). Sugar- a sweet commodity in a sour market. Seeking Alpha, http://seekingalpha.com/article/3001896-sugar-a-sweet-commodity-a-sour-market. Johnson, R., & Jelmayer, R. (2015). Brazil Blackouts Spawns Power Rationing Fears. The Wall Street Journal World, http://www.wsj.com/articles/brazil-blackout-spawns-power-rationing-fears-1421784617. Lewis, J. (2014). Fire and Drought Scar Brazilian Sugar Crop. Wall Street Journal, http://www.wsj.com/articles/fire-and-drought-scar-brazilian-sugar-crop-1411487285.